For over 50 years, Backstage has been the most trusted place for actors and performers to find jobs and career advice, and for casting professionals and talent seekers to find the right performers for their projects. 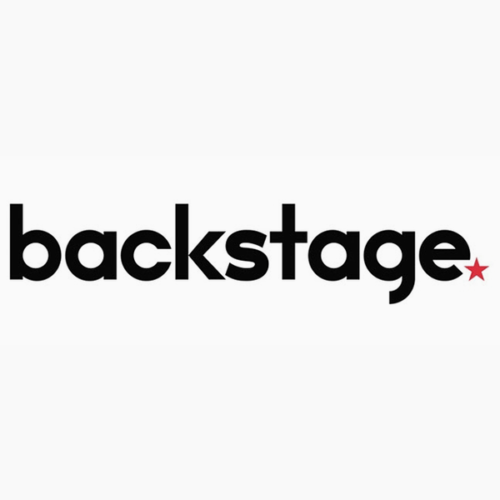 Today, Backstage is the largest online casting platform in the US and growing at a tremendous rate in the UK, with over 4,000 roles posted every week and over 100,000 members building their careers on the platform. Backstage are holding a special offer, giving away 6 months free memberships and free casting offers! Check below for details, or come to their expo stand at the One Voice Conference for even more amazing deals and promotions! Want to get your voice out there? Right now, you can get 6 months worth of casting opportunities on Backstage's talent finder, completely for free. Sign up for Backstage and use the promo code: GETCAST at checkout to activate your free 6 month's subscription. You get complete access to everything at Backstage, so you can apply for jobs, get cast and get paid for work for 6 months, with no cost to you! If you are looking for talent to cast in your upcoming voiceover project, then Backstage has another great offer for you! 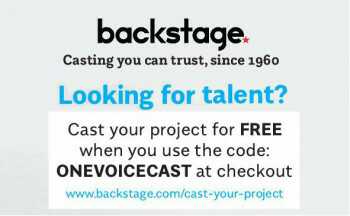 Use the promo code: ONEVOICECAST at checkout and you can cast your project for free at Backstage. You get access to all the incredible talent from throughout Backstage's talent finder, so you can choose the voice that will make your project soar. And you can get it all the for amazing price of free!